Pink, green, aviators ... gone wrong. Pink and green Louis Vuitton Resort 2011... paired with BLACK SUEDE BOOTS?! Holly Madison almost had it right! Avril Lavigne, not so much. I spotted these faux pas over the week and just couldn't resist. I hope you were humored and not horrified. (Next time I'll follow the rules.) 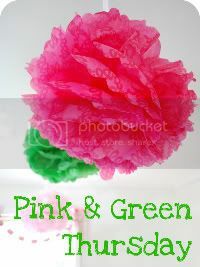 Now for some truly lovely pairings visit Pink and Green Thursday hostess Trish at Pink Preppy Lilly Lover. Her fabulous selection of pictures always brighten my day. Cheers! I love that you featured fashion faux pas as your P+G Thursday! !